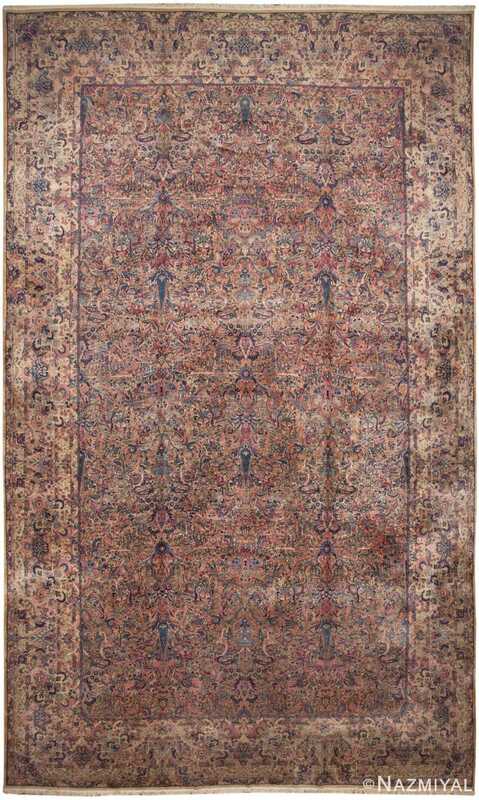 This tremendous antique Persian Kerman rug features a jaw-dropping selection of fluid botanical motifs and flamboyant patterns drawn in a grand curvilinear style. Antique Persian Kerman Rug, Country of Origin: Persia, Circa Date: Early 20th Century – Extraordinarily ornate, this palatial antique Kerman rug showcases a grand allover pattern that includes a diverse assortment of botanical motifs. The enrapturing pattern is rendered in a traditional combination of blue and pink that is tempered by the robust neutral tones that complete the opulent color palette. 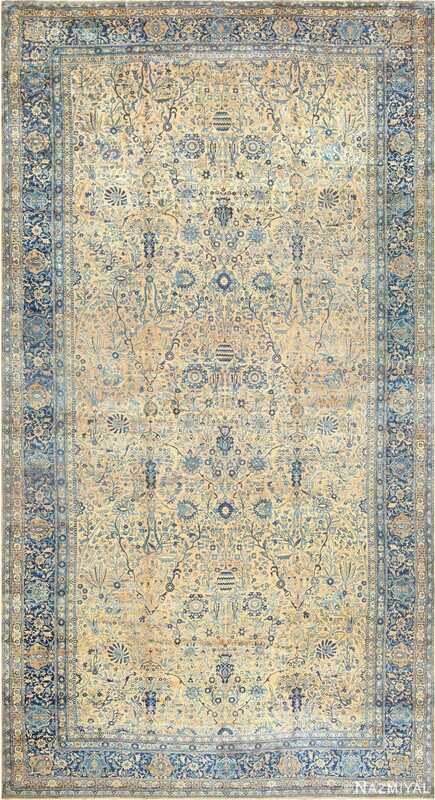 The elaborate motifs and the delicate colors associated with Kerman are taken to new decorative heights. 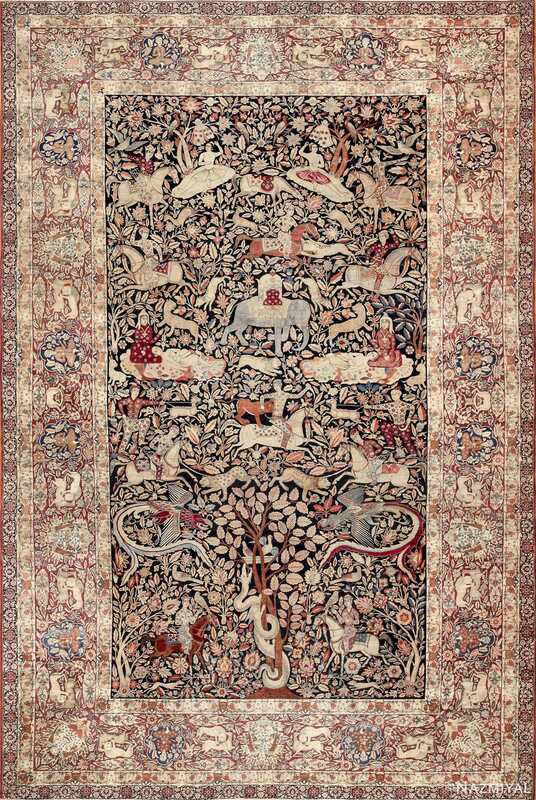 The densely decorated field is covered by fluid botehs, sinuous vine scrolls, polychromatic leaves, supple calyces and a wealth of patterns hidden within larger motifs. This incomprehensible level of detail creates a homogeneous visage that is comprised of thousands of tiny details. 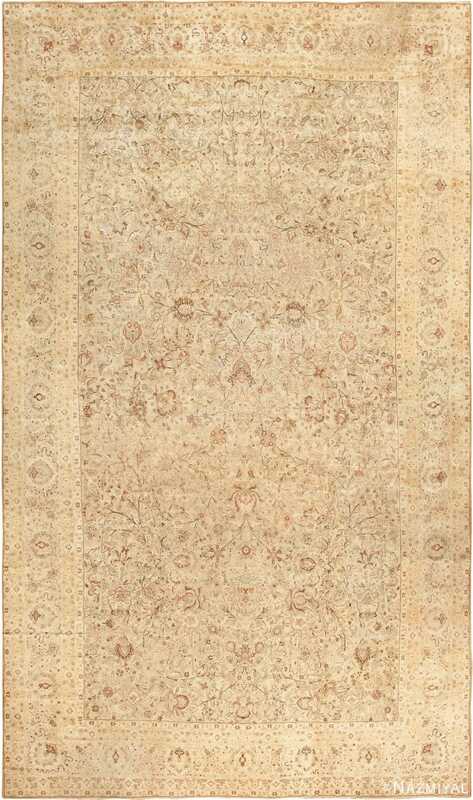 With its grand borders and ravaging floral patterns, this splendid antique rug is an exceptional, luxurious masterpiece.